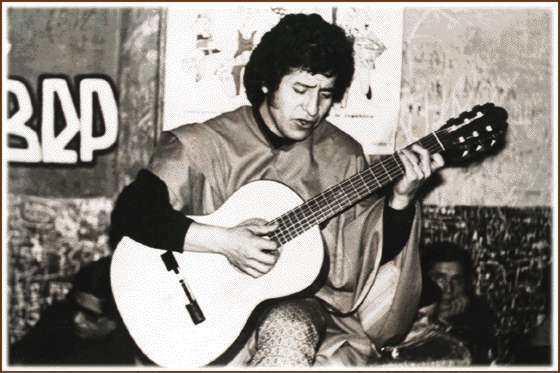 40 years ago the legendary Chilean musician Victor Jara was tortured and murdered following the bloody military coup of General Pinochet. On the evening of Saturday June 15th at 7.30 pm in The Garden Cafe, the Chilean musician and exile, Jorge Morales and Cristina Solana will be joined by members of a Welsh based Latino Mystic folk band, Cloud Cuckoo www.cloudcuckoo.org.uk to perform revolutionary anthems of Latin America as well as lively and joyous Latino rhythms. The evening will celebrate the timeless music of Victor Jara and other artists who are part of the “Chilean New Song” movement. www.elsuenoexiste.com.